Steel pallet racking is as critical to your warehouse operation as the employees that work within it. 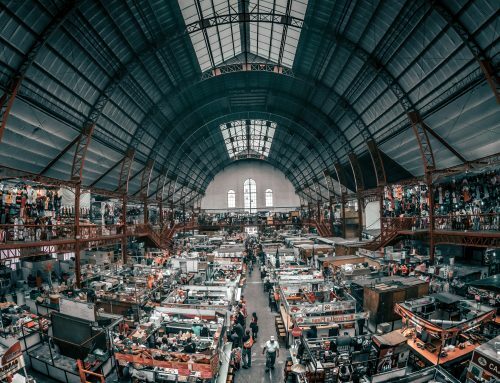 Unfortunately, these essential structures are often neglected after installation, creating potentially deadly occupational health and safety risks as well as costly property damage. 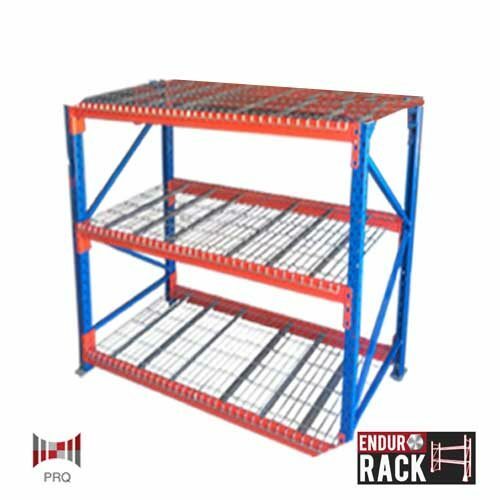 Without comprehensive pallet racking inspections and self-assessments, serious accidents from faulty or damaged racks are likely to occur. 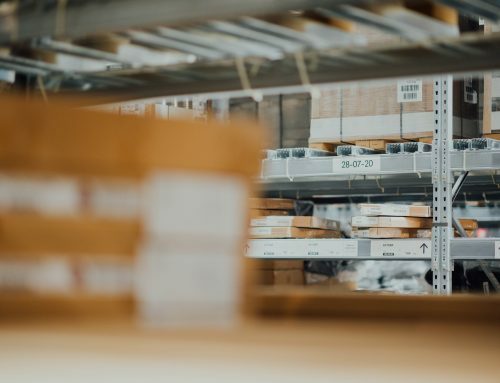 However, Brisbane businesses can drastically increase safety in their warehouses by preemptively addressing these five common but critical pallet rack safety hazards. With that in mind let’s take a look at the five key, ‘quick checks’ you and your team can complete to ensure compliance and as an extension; safety. Often this damage occurs from Forklift collisions. Sufficient clearance space and clear aisles are both great ways to prevent this kind of damage. Always encourage employees to promptly report all minor impacts or observable damage. Adding End Barriers, Corner Protectors or Upright Protectors can minimise damage and maximise safety. This can cause collapse or failure of your pallet racking system. During inspection, use the manufacturer’s instructions to check that racks are properly aligned, plum, and level. 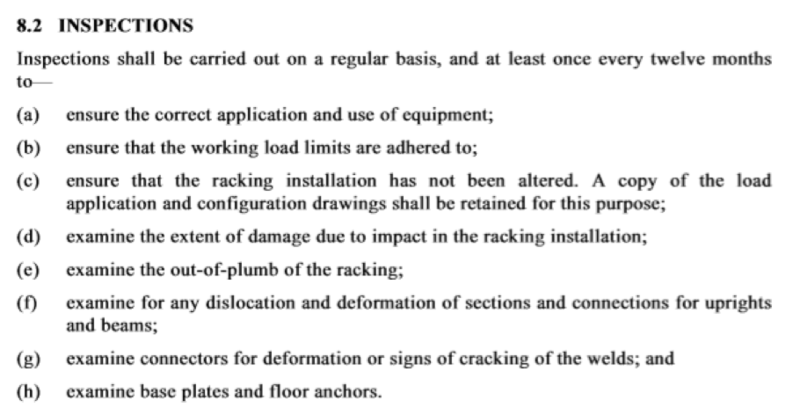 Any steel rack that stores pallets is required to be ‘bolted down’. This stops rack misalignment and potential collapse if the rack is impacted by your Forklift. Your rack beams must have an independent locking clip/pin at each end. These pins are a small item but incredibly important to the overall rack structure and its ability to perform to manufacturer’s standards. If a beam is hit by a forklift tyne and there is no pin/clip installed, it has the potential to ‘pop out’ sending the pallets crashing to the ground. To prevent dangerously overloaded racks, you are required to have a clearly displayed Safe Work Load (SWL) Sign at the end of each racking run. The sign must clearly display the maximum permissible pallet load, beam level load and total bay capacity. An SWL Sign provides critical information to the Forklift driver to minimise overloading. 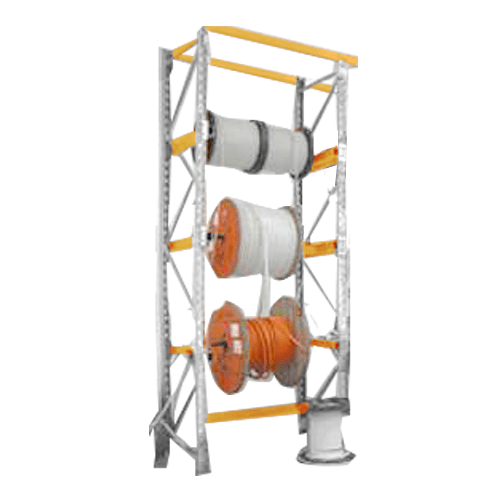 In the end, whether your racks are damaged, overloaded, improperly anchored or misaligned, they’re a serious safety hazard that can result in serious injury. 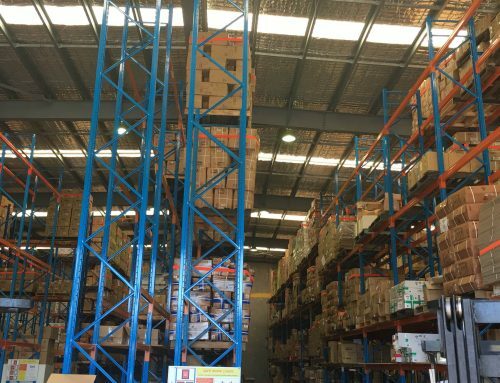 WorkSafe Queensland recommends warehouse managers develop a thorough maintenance and inspection program. To ensure your business meets AS4084-2012, you are required to engage an independent Pallet Racking Auditor to complete an annual inspection and provide the associated compliance documentation.